A summer of music is planned as the popular restaurant prepares to turn 36 years of age on July 29. The entire month of July is one big birthday celebration at McP's. Like a familiar line from “Casablanca,” McP’s Irish Pub continues to play it out, over and over again. Now, in the summer of 2018, the popular restaurant prepares to turn 36 years of age (July 29). 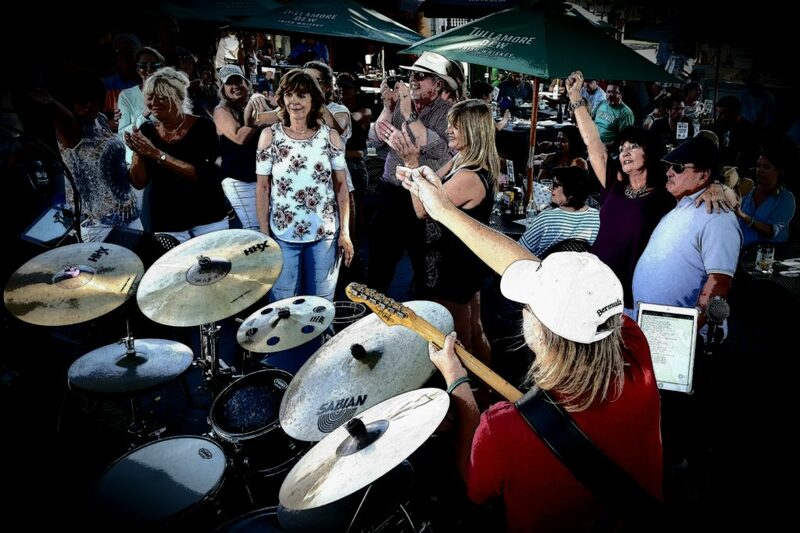 Coronado’s favorite rock ‘n’ roll band, Ron’s Garage Band, will perform on the patio that day from 2-6 p.m. but the entire month of July is one big birthday celebration. Summer officially kicks off Wednesday, July 4th. Ron’s Garage Band will perform on the outdoor patio from 1-5 p.m. Later, the fabulous Stilettos perform on the patio from 7-11 p.m.
It’s been an interesting jaunt since those early days, when the bar was small and the restaurant even smaller; when a gas station sat where the Paddy-O is today (the outdoor patio that is scene to music, dining and drinking). Before McP’s, the Manhattan Room sat on that footprint – a cocktail lounge and piano bar from another era. Both are gone now, and McP’s continues to entertain and please on a nightly basis. 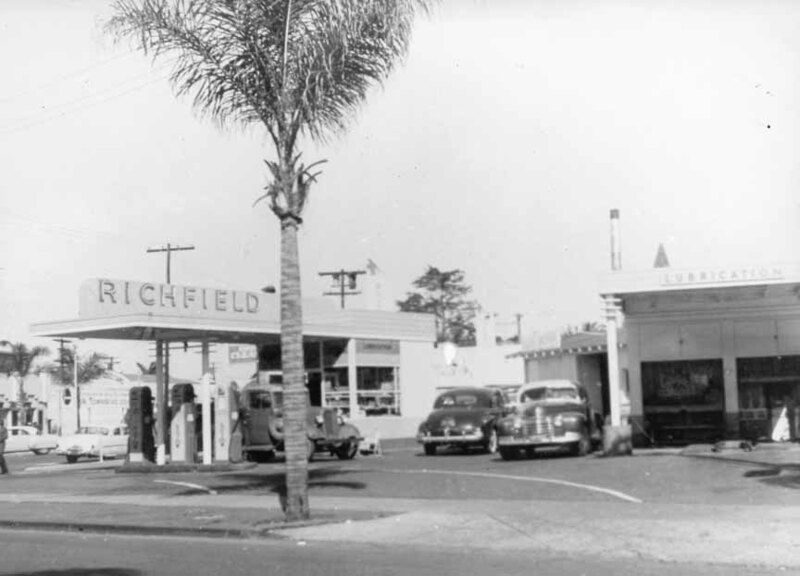 Where the Richfield Station once sat, McP’s has assumed the footprint. The outdoor patio at McP’s now sits there. The restaurant/bar itself replaced the old Manhattan Room, which sat to the right of this photo. When McP’s opened in July 1982, the little Irish pub was a novelty. Today, still under original ownership, it is a respected member of the restaurant community and one of the longest surviving dining institutions on the island. McP’s has become the off-duty home of the legendary Navy SEALs, and a place where celebrities, military heroes, politicians and even Royalty dine alongside guests in relative anonymity. Just last week international rapper Post Malone hung out at McP’s all night. Among those who have visited McP’s over the years are Tiger Woods, Gary Sinise, Arnold Schwarzenegger, Jim Harbaugh, Philip Rivers, Toby Keith, Sean Connery, Nicholas Cage, Gerald McRaney, John Goodman, Rob Lowe and Army General Martin E. Dempsey (Chairman of the Joint Chiefs of Staff), and even John Boehner (former Speaker of the House). Another time, Taylor had to ask then-Minnesota Governor Jesse Ventura to take his cigar and leave the restaurant. Ron’s Garage Band has become the house band for McP’s Irish Pub. They play frequently on the outdoor patio, as well as inside. 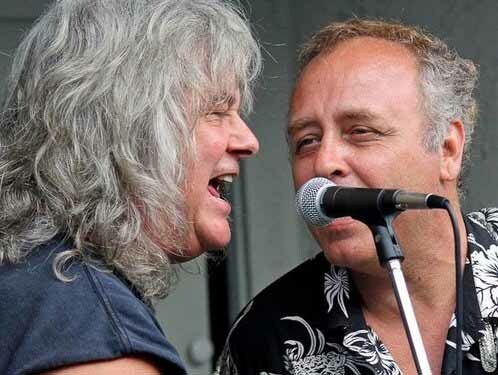 This is one of the most pure sounds you’ll ever hear – covers of first generation Rock ‘n’ Roll. Prince Harry, of England’s Royal Family, visited McP’s while completing helicopter training at nearby El Centro. “We try not to make a big deal about visiting celebs,” said Taylor. “They’re just like any other customer, and we want to honor their privacy as best we can. But in the case of Prince Harry, we did manage to put him at a special table in the corner, where he could see all the action but stay out of the way. 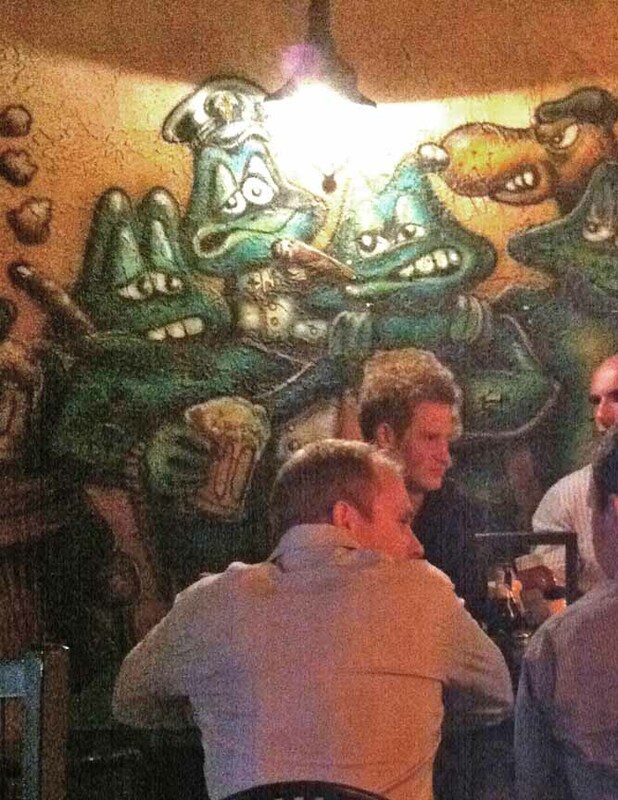 Prince Harry and his entourage enjoying the hospitality at McP’s Irish Pub. Joey Harris (right) and Paul Kamanski are frequent performers at McP’s on Sunday afternoons. More than 40 employees keep the machinery running at McP’s, both under the hood and behind the wheel. Some, like McP’s co-manager Tracy Taylor (Ted’s wife) have been there since the 1980s. Her father Leo was one of McP’s original bartenders. It’s often been said that working at McP’s is a rite of passage for Coronado youth. It was for me. I was opening waiter back in 1982 and worked that job for three years. I still spend much of my free time there. McP’s and its staff are like family to me. In those days McP’s was likened to the wild west, as rough and tumble SEALs, fresh from BUDs training would come in to unwind and celebrate. These days, visiting SEALs, both current and former, keep a low profile and are some of the best and most subdued customers in the place. Many come in with their own families. Still, the legend continues to grow about McP’s, home of the Navy SEAL, as is evidenced by the many photos and tributes on the inside walls of the restaurant. Today the McP’s experience centers around the food, drink and music, for which they have become so well known. Popular musical groups like Ron’s Garage, the Stilettos, Gonzology and In Midlife Crisis play several times during the week. Former Beat Farmer Joey Harris also performs on occasion. When McP’s opened its doors in 1982, Coronado wasn’t sure what to make of it. Waiters and waitresses dressed in green, the aroma of corned beef and cabbage filled the air, Mulligan Stew was served in a bread bowl, and thick, dark Guinness Stout poured generously from the tap. To say that the tiny restaurant was an acquired taste would not be far off the mark. The San Diego Old Town Trolley has an official stop located just outside McP’s front door. This has brought an entirely new breed of customer into the restaurant. At last check, the typical McP’s customer fell into one of three categories – tourists (40%) and military (40%), with Coronado locals making up the remainder. Live entertainment takes place every night through Labor Day featuring the best music on the island. 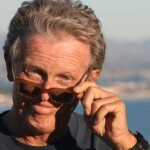 Many successful bands from the region got their start at McP’s – Rockola, the Mar Dels, Stilettos, the Cat-illacs and Ron Wheeler (of Ron’s Garage Band fame). 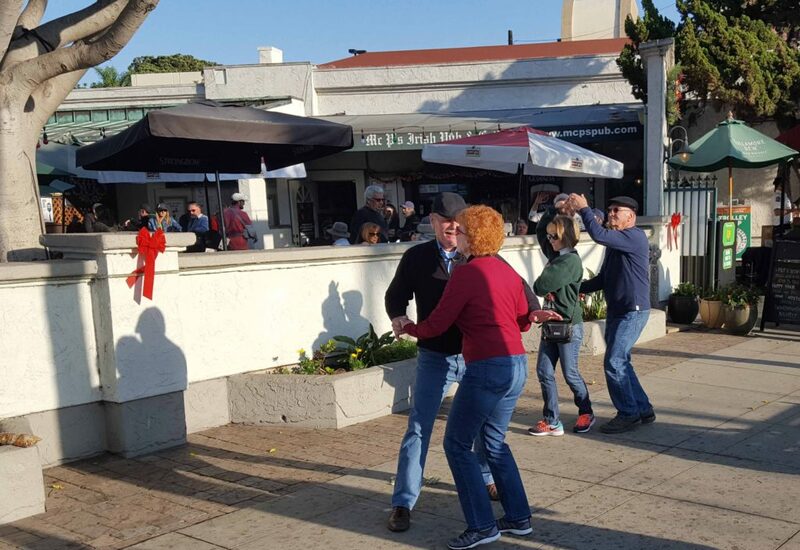 It’s not uncommon to see people dancing in the street, the sidewalk and in the parking lot at McP’s during their famous summer Sunday musical concerts. 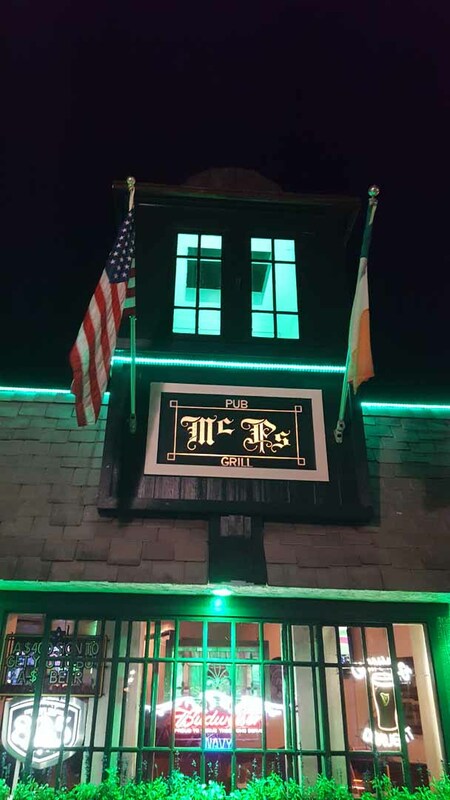 The menu at McP’s is filled with traditional as well as Irish fare. There are numerous offerings of juicy burgers and healthy salads, and even an Irish menu just for the kids. Happy Hour is 4-6 p.m., Monday through Friday (except holidays). It includes half priced, select appetizers, and all house wines by the glass, discounted beer and cocktails. 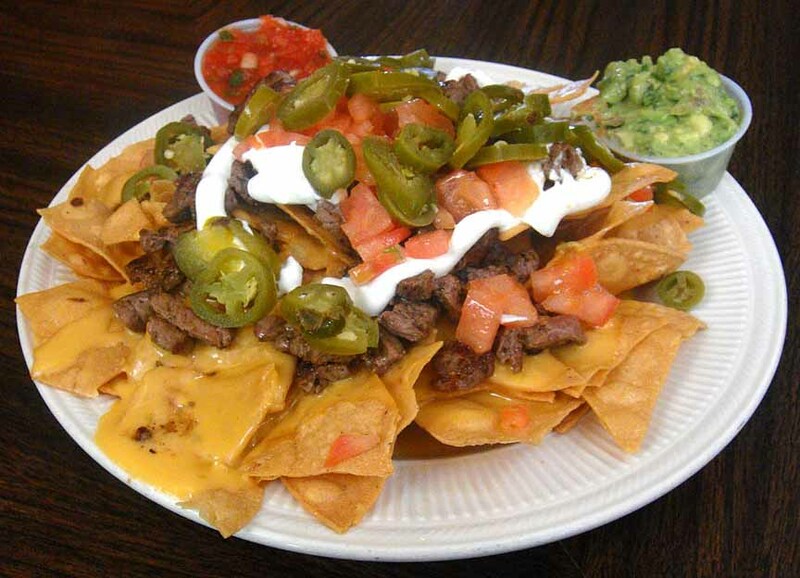 Nineteen large, flat screen TVs keep the sports crowd entertained. McP’s carries the NFL Sunday Ticket and Major League Baseball Extra Innings packages, which allow customers to watch all the action, all the time, or any game that is being played. The dog-friendly outdoor patio can serve up to 100 guests. The patio is shaded by large ficus trees and warmed at night by romantic fire pits and heaters. 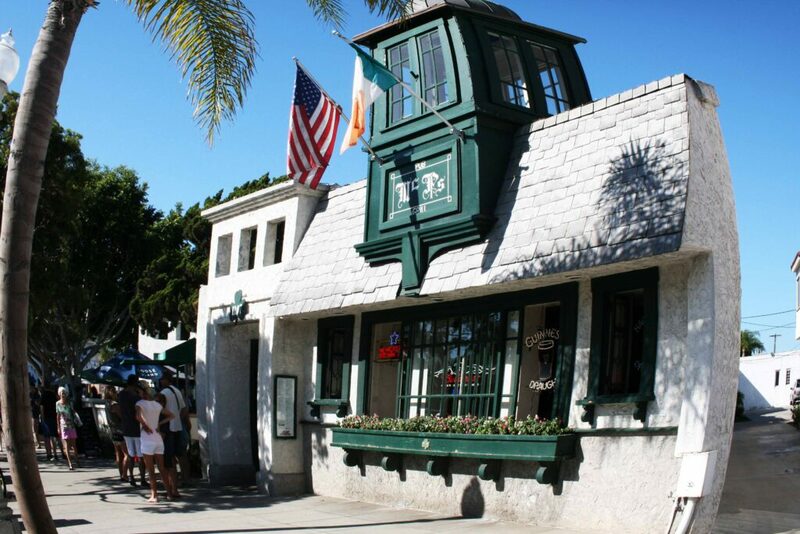 McP’s Irish Pub is located at 1107 Orange Avenue, at the corner of C Avenue, in Coronado, and continues to be a one-stop-shop for change of commands, wedding parties, rehearsal dinners, reunions and corporate events. For more information call (619) 435-5280 or visit their website at www.mcpspub.com. If you forget the address just follow the noise. 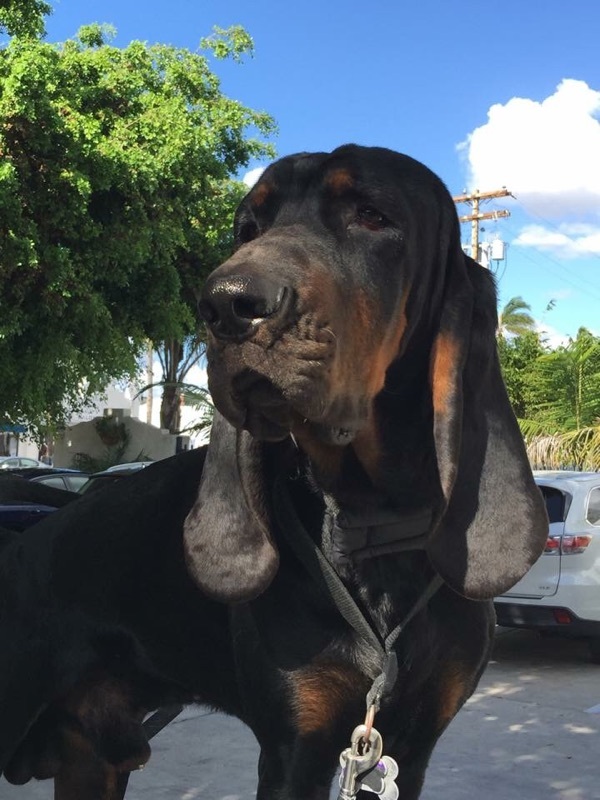 Trident is just one of many “locals” at McP’s Irish Pub. For the safety of the crowd, McP’s will have security checking IDs and stamping hands all day. Management asks customers to please be patient with the staff and help out as best you can to help make this very busy day flow smoothly and create a more enjoyable experience for the other guests. There will also be NO BACKPACKS allowed on July 4. There will be NO PETS ALLOWED ON THE PATIO OR INSIDE on July 4. For McP’s bar patrons, there will be a $25 minimum ON ALL CREDIT CARD and DEBIT CARD transactions.